THE SAFEST WAY TO HELP DETOXIFY HEAVY METALS EVER! Welcome to Coseva Safe Heavy Metal Detox, the fastest, easiest, and most importantly SAFEST way to help detoxify heavy metals the world has ever seen! Coseva's new Nano-Zeolite beats any other zeolite you can imagine. First off, let's put it really simply just WHAT exactly Advanced TRS is. The best way to think about it - is that it's like an activated charcoal...kind of. It's great at absorbing a whole myriad of different toxins and making them super easy and safe to detoxify. This is difficult question to answer and it all depends on the individual person. Everyone shows toxicity in their body in different ways. Heavy metal toxicity may manifest in a myriad of different ways. Based on the persons exposure to toxins and heavy metals, they may show different signs of toxicity. People also respond differently to usage. The Simple PDF is a very short paper with quick answers, the FAQ has frequently asked questions, and the White Paper has clinical studies, documents, and in depth scientific explanations if you really want to go deep! Standard Zeolites only work in the digestive tract when taken - meaning that toxins can only be removed from there. Meaning: They don't approach heavy metals in the rest of the body. Yes, if you can get the heavy metals down to the digestive tract they can be detoxified there - but this is a difficult process that requires many different supplements to pull the heavy metals from where they are at. Also, these heavy metals remain toxic to the body until they are cleared. On top of that, most Zeolites are already contaminated with heavy metals that naturally occur. 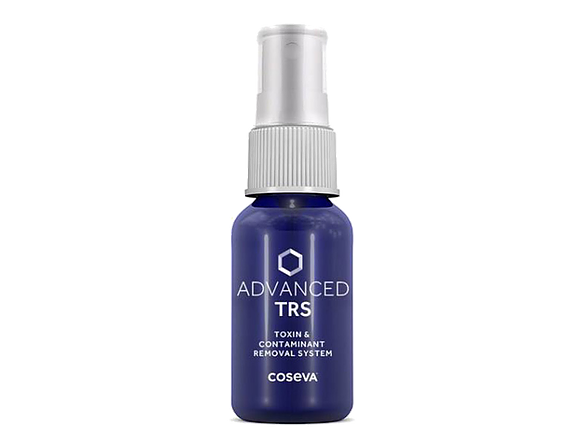 That's what makes Coseva's Advanced TRS different.